2 Coats OPI Do You Think I'm Tex-Y? So, I layered in Fingerpaints Twisted, a rainbow of color-shifting flakies in a bottle. Then I added a coat of Top of the Gold, my most recent flaky polish purchase. After that, a second coat of Fingerpaints Twisted really amped up the flaky quotient. 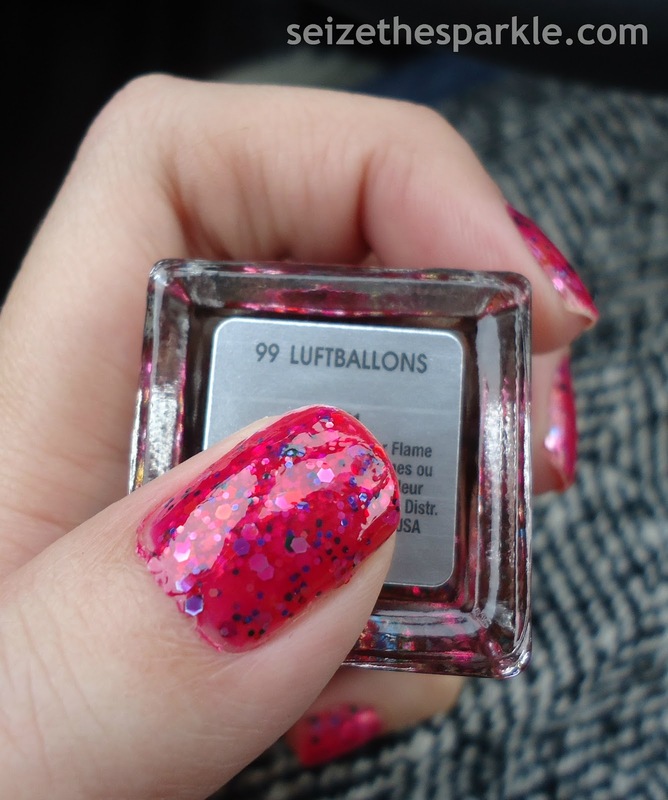 Another coat of 99 Luftballons added more pigment to the pink base, but I thought it still needed something. So, I pulled out Do You Think I'm Tex-Y and added two layers for a super-intense PINK Jelly Glitter Sandwich. How do you take your polish to the next level?